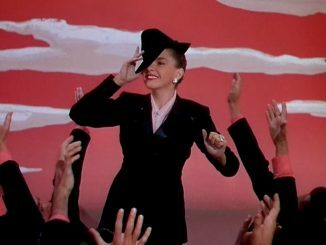 HomeReviewsWhat’s On: Your Streaming Picks for March! Each month, The Retro Set Staff will select a small handful of films available to stream on a variety of services, including: Netflix, Amazon, Hulu, Warner Archive, and more. These are films we believe should be added to your watchlist and we’re here to tell you why! Your streaming picks for March include the garishly over-blown guilty pleasure The Three Musketeers (1948), the touching, inspirational little boy lost tale of The Search (1948), and the highly realistic cooker-pressure intensity of academia of The Paper Chase (1973). 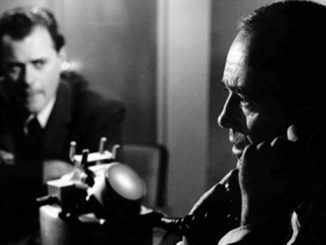 Chances are, Fred Zinnemann’s 1948 drama The Search is one of the best films you’ve never seen. It takes place in War-ravaged Berlin, where an adorable doe-eyed little Czech boy (Ivan Jandl), who survived the horrors of Auswitch, has been separated from his family in the chaos of War. This nameless boy is one of thousands of children who have been displaced. Many of them are concentration camp survivors, complete with tattooed forearms, and have been taken into custody by the United Nations’ Relief and Rehabilitation Administration (U.N.R.R.A) where the task of finding and reuniting them with family is overwhelming at best. When a quiet-voiced mother comes to the transit camp, headed by Aline MacMahon (always a welcome face on the screen), she describes Jandl to a tee. MacMahon has the sad duty of informing her that the boy is dead. And by all accounts, he is. Except the U.N.R.R.A. records are incorrect: Jandl is very much alive, wandering the wounded streets of a haunted Berlin, still in a state of complete shock. When a handsome young G.I. (Montgomery Clift, in his screen debut–Red River was filmed first, but released after this film) finds this wandering waif, his knee-jerk response is to not do anything. And why not? He’s seen hundreds of kids just like him. But this boy is different. 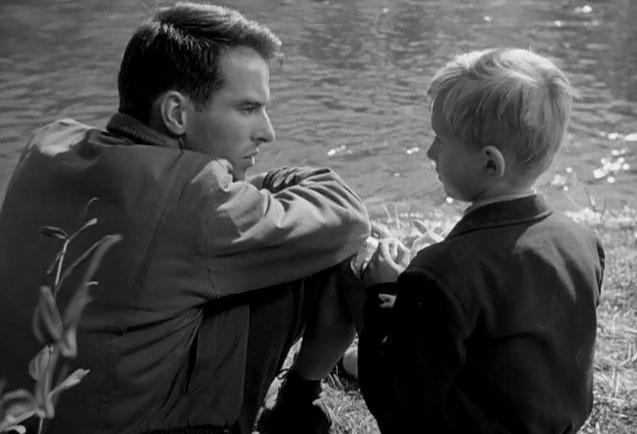 After a fierce struggle with the boy (he’s been conditioned to expect nothing but violence, or worse, from grown-ups in uniforms) Clift manages to bring him home where he and his roommate (Wendell Cory—probably the most boring roommate imaginable) try to decide what to do with him. After four years in Europe, Clift has finally received his sayonara papers from the army, and his entire life is fixed on finally going home. But Jandl’s presence throws a spanner in the works. Because there’s something about Jandl’s big innocent eyes that Clift cannot let go of; just as there’s something magnetic and fresh about Clift’s expressive orbs that the viewer can’t let go of. The fresh-faced boy and the fresh-faced young man are perfectly suited for each other: they’re both trying to figure each other out, just as we’re trying to figure them out—and falling in love in the process. Zinnemann shot on location in Germany, in many ways the film reads like a documentary—just three years after the end of the War, Berlin is in complete disrepair. 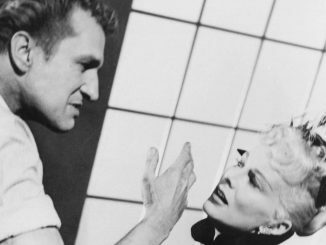 Zinnemann’s adroitness is superb: he blends just enough melodrama (with an occasional dose of levity) to keep it from being a clinical doudrama, but at the same time keeps it tight enough from becoming saccharine. Jandl is a revelation (he actually didn’t speak a word of English) he’s like a Czech Freddie Bartholomew and it’s a loss to cinema that he never made another film. And of course, there’s Clift. An actor famous for restrained intensity, there is not one ounce of insincerity in his army G.I. He is of course fantastically beautiful, but again, what made Clift so universally accessible is that his extreme good looks were not a crutch: this performance is as human as it gets. He is imperfect, broken, flawed (like the real Clift himself) and in The Search, watching the actor flex his artistic muscle is enthralling. 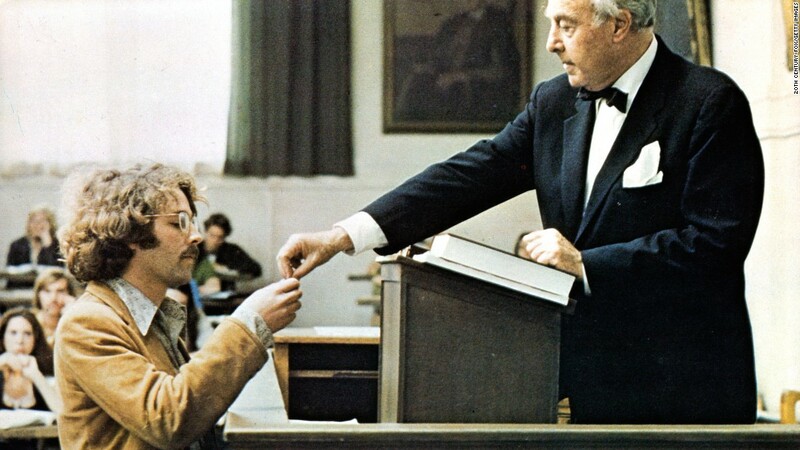 There may be 1970s afros and jeans vests, but anyone who’s ever been part of the high-pressure milieu of college will relate to this realistic and intense examination of greener-than-green students slogging through their first year of Harvard Law School. Gordon Willis’ static frames of weighty gravitas, and John Williams baroque-style soundtrack are all terrific incentives, but the main reason to catch this comedy-drama (remember those?) and the greatest satisfaction of The Paper Chase is John Houseman as the brilliant, frightening, and powerful Professor Kingsfield. It is a performance for the ages. From the very first scene where he tears apart the trembling Hart (Timothy Bottoms in one of this greatest roles) to the shocking and chilling moment when the same student is caught in flagrante delicto with the professor’s daughter (a non-bionic Lindsay Wagner), the tension and stress factor are so palpable you’ll want to jump out of your skin. James Bridges subtle direction from his own script examines, celebrates and intimidates the viewer with an ultra-realistic vision of scholastic horror. You can’t help but empathize with the students, from those that succeed to those that fall pathetically by the wayside (James Naughton (brother of American Werewolf and Dr. Pepper dancing David) is the wounded animal who you pray will be mercilessly put out of his misery). Whichever characters you relate to, (from the pretentious pipe smoking, baby-faced Edward Hermann to the hip, bow-tied Graham Beckel) you can’t help but admire and dread Houseman’s perfect performance. When he offers Hart a dime to call his mother to tell her he’ll never be a lawyer is both hilarious and heartbreaking. This film deserves both an open mind and bottle of wine. In the 1940s, MGM cornered the market on splashy technicolor, star-studded, over-bloated productions. The studio with “more stars than there are in heaven” often reminded audiences of its dream team roster of stars by cramming top and up-and-coming talent into otherwise mediocre films. One of the best examples of this is the 1948 adaptation of The Three Musketeers. The Three Musketeers is notable for several reasons. First, it features exquisite costumes by the legendary designer Walter Plunkett, who is perhaps best known for his work in 1939’s Gone With the Wind. The rich jewel tones in Plunkett’s designs often upstage the already outlandish performances. An amazing feat, really. 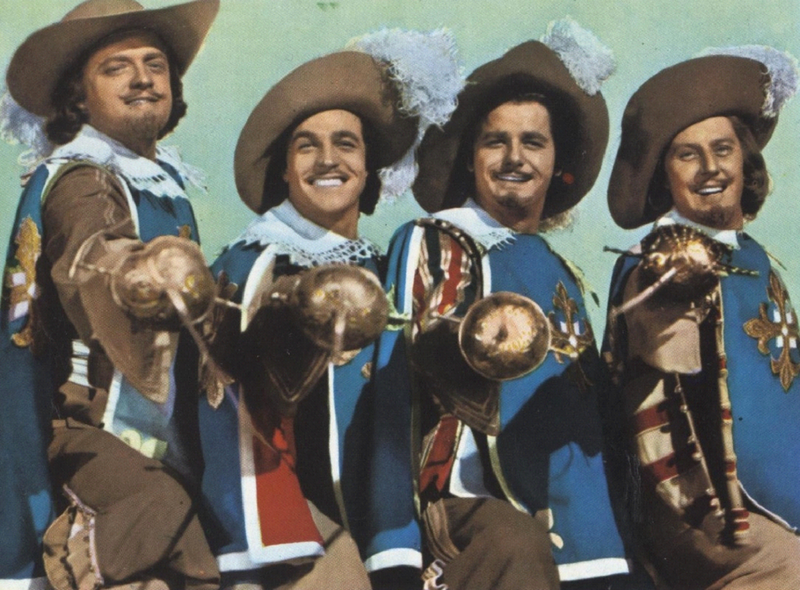 The Three Musketeers also features Gene Kelly in a rare non-dancing role. But even though there is no dancing, Kelly manages to sneak in some sweet moves into the film’s highly choreographed fight scenes. Finally, the film features amazing facial hair. And by amazing, I mean “is that a dead woodland creature on your face” kind of facial hair. While The Three Musketeers isn’t necessarily a good film, it is incredibly entertaining, and is one of my favorite guilty pleasures. If you go in with lowered expectations and a nice vodka soda, I promise you’ll have a lot of fun.